Home » Home » Where have I been for 42 days?? Where have I been for 42 days?? 42 days ago I posted a recipe review for Dark Chocolate Pot de Creme. Nothing since. Where have I been? Did I decide to stay longer in Vietnam and/or Thailand? Did the authorities in one of those counties decide I needed to be incarcerated for some unknown reason? Nope. 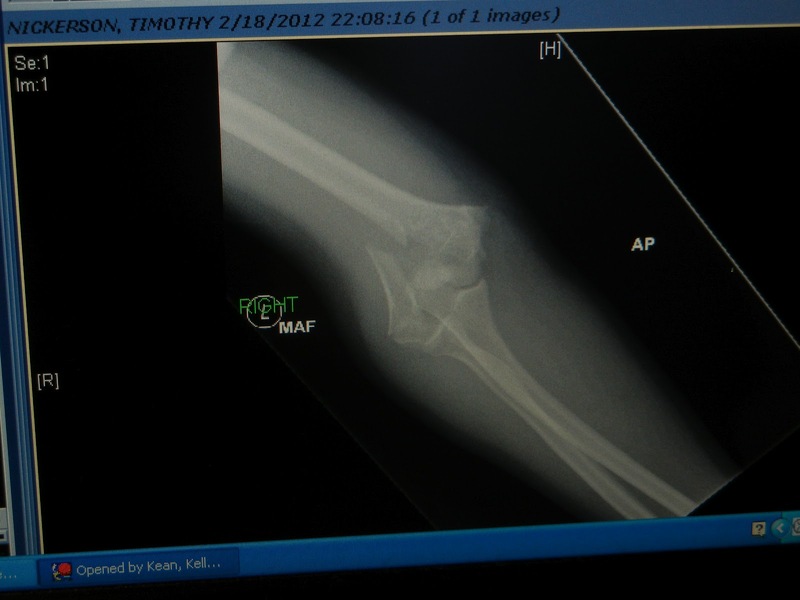 On February 18, about 12 hours after my last blog post, I took pretty bad fall down a friends stairs. I fell down 15 stairs and slid around a corner. 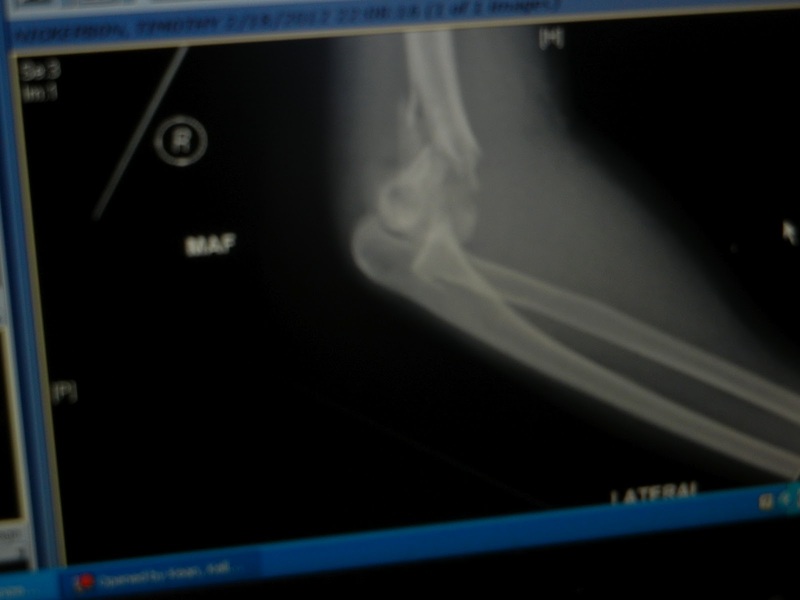 I hit my head and severely broke my arm. Luckily my head was just cut a bit, no concussion or other trauma. 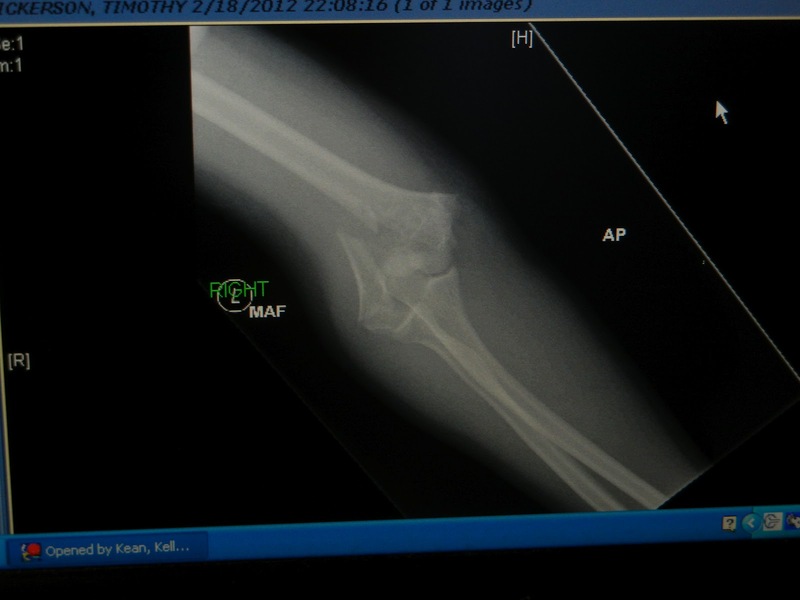 My arm was by far the worst injury – technically I had a comminuted fracture of humerus (which is a broken upper arm where the bone is crushed/splintered into numerous pieces). Gross. 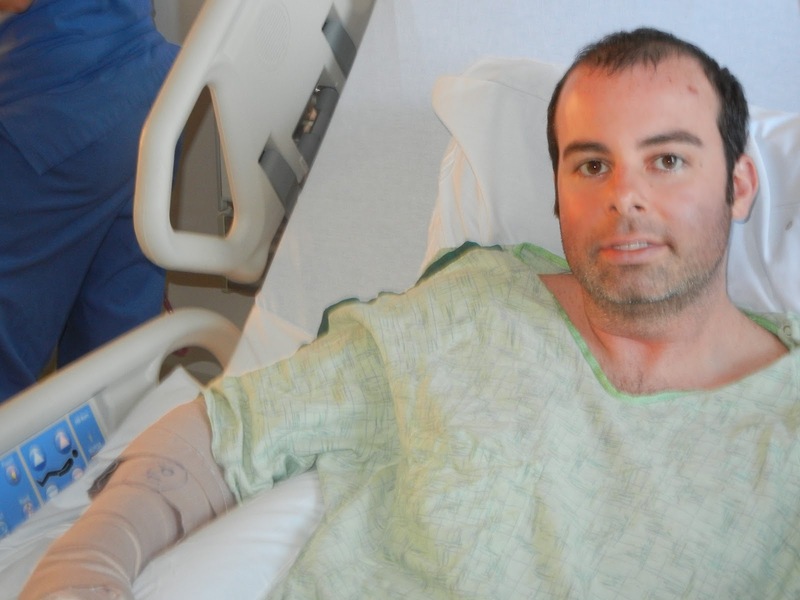 I had two surgeries and spent 4.5 days in the hospital. 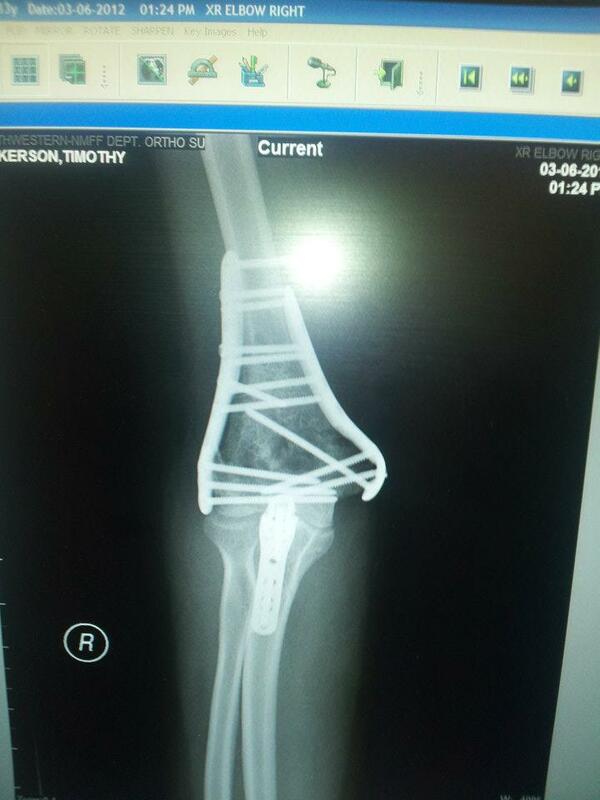 To fix my humerus they had to break my elbow. 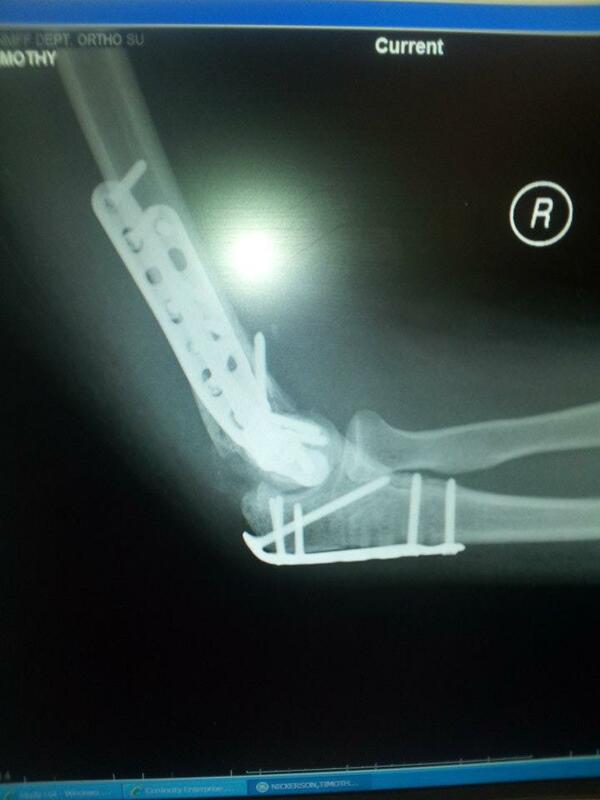 I have a lot of hardware in my arm – take a look at these crazy x-rays. I have traveled (more on that tomorrow) and didn’t have any issues with the metal detectors. Interestingly enough about half the people I talked to said I would. No issues what so ever though. So, in the 6 weeks since my accident (5 weeks since my last surgery) I have missed about 10 days of work (not all in a row), cancelled our amazing trip to Vietnam (only losing about $300 in fees), traveled to Memphis, started physical therapy and planned alternate vacations for 2012 (you’ll hear about these shortly). What have you all been up to lately? Have you spent 6 figures in 6 weeks, like I have? Have you cancelled a vacation recently? Did you get all your money back? How did the United/Continental system integration treat you? 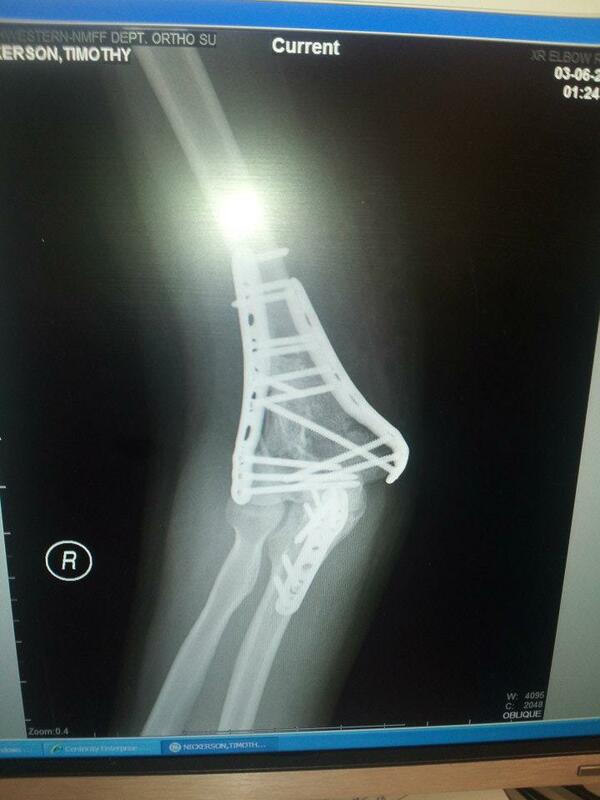 Doesn’t my new humerus kind of look like the Eiffel Tower? By Tim in Home, Travel on March 31, 2012 . So happy you're up to blogging again – I've missed your posts!